Be sure to wash all fruits and remove rinds, inedible skins, seeds, and pits before feeding to pets. 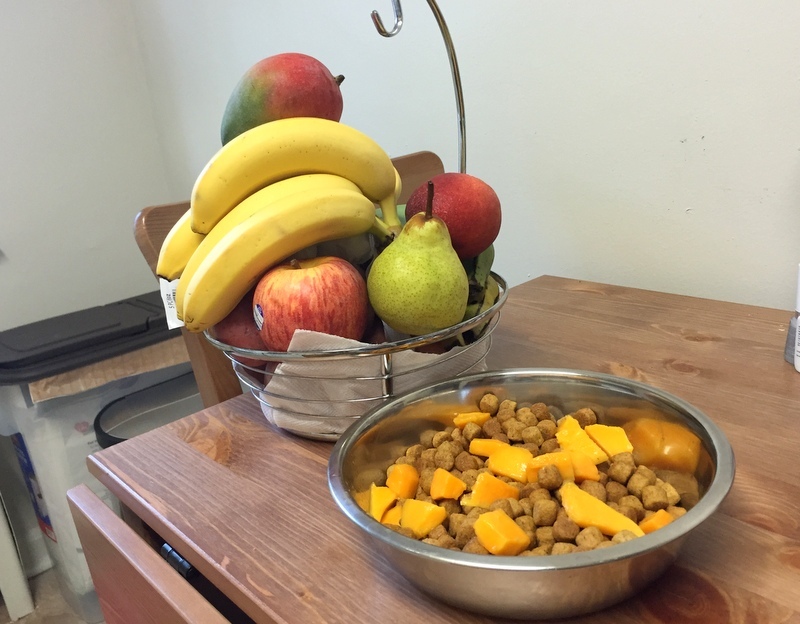 As you can see, many of the fruits and vegetables we eat can also be given as treats to our pets. Just cut up pea-sized pieces for a healthy, low-calorie snack. Pets, just like humans, have different tastes, allergies, and sensitivities to foods. It is important to pay close attention to what our pets are eating on a daily basis and it all starts at the pet food dish. Choose a nutritionally balanced pet food and try to avoid foods with fat listed within the first four ingredients. If you recently brought home a new pet or are switching your pet’s current food, it is important to monitor them on their new diet to make sure they don’t have any allergies or tummy aches caused by the food. Be sure to use measuring cups or a scoop with marked measurements so that you can be consistent and ensure that you’re not overfeeding. At your next veterinary check-up, ask your vet if your dog or cat is too thin or too fat to ensure that you are feeding the proper amount. It’s important to generally stick to the same food, prepared the same, each day. If you decide to change foods, it should be done gradually by mixing in small amounts with your pet’s current food. Watch the treat intake. 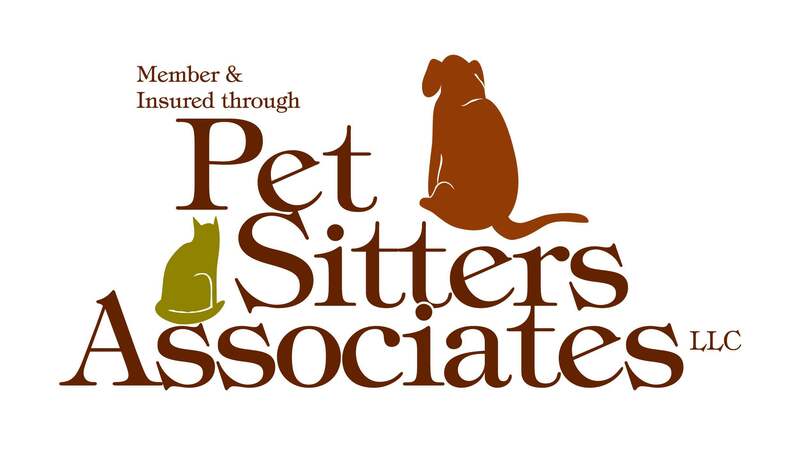 Be sure to moderate the amount of treats given to your pet each day. 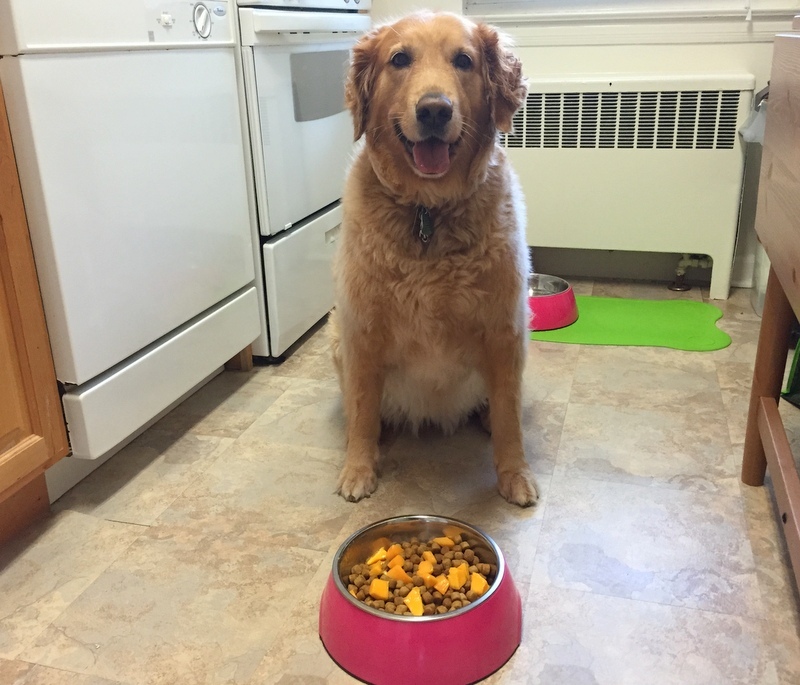 Be sure to take your pet’s age into consideration when choosing a food (is it time for a senior diet?) and the size of the scoop. 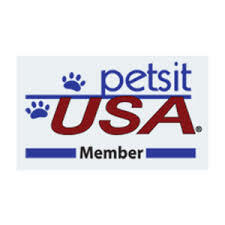 Each pet has its own nutritional needs based on his individual age, breed, activity level, lifestyle, etc., so be sure to look at each pet as an individual when determining their food needs. 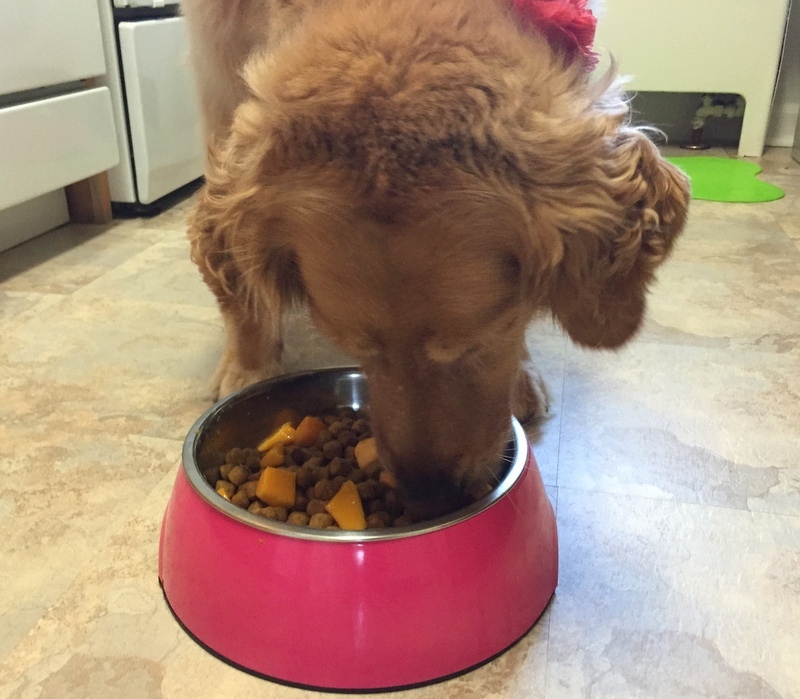 If your dog doesn’t want to eat its food you can mix it with clear soup, rice or fruit. In our case, first time we tried with apple and found out our dog loved it. Then, we started adding others fruits – once at a time – and we realized she also liked papaya, mango, cantaloupe and orange, among others. She also likes pineapple very much, but it causes her an upset stomach, so we avoid it.